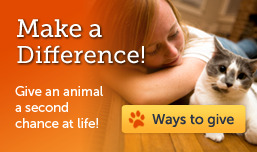 At the Doris Day Animal Foundation, we respect and protect the privacy of our supporters and those who use our website. The following Privacy Statement provides details about how your personal information is collected and used. This privacy statement applies to the Doris Day Animal Foundation website and services that are located in, but not limited to dorisdayanimalfoundation.org and related domains. 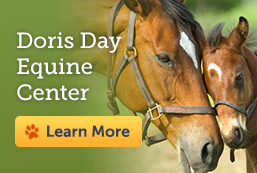 The Doris Day Animal Foundation is the sole owner of information collected on this site. We will not sell, share, or rent this information to others in ways different from what is disclosed in this statement. DDAF collects information from our site visitors at several different points on our website. Our websites offers several opportunities for visitors to register for informational mailings. These registration forms are often linked to DDAF mailing lists and require users to give contact information (such as name and email address). We use this contact information to send users information about DDAF fundraising events, news updates and new initiatives. Users may opt-out of receiving future mailings at any time. The Doris Day Animal Foundation takes care to reinforce the importance of our website visitors' security and privacy among our employees. Our employees are trained and required to safeguard your information and, using physical, electronic and procedural safeguards, we restrict access to personal information to those employees and agents for business purposes only.